Stealing KDs is not nice. 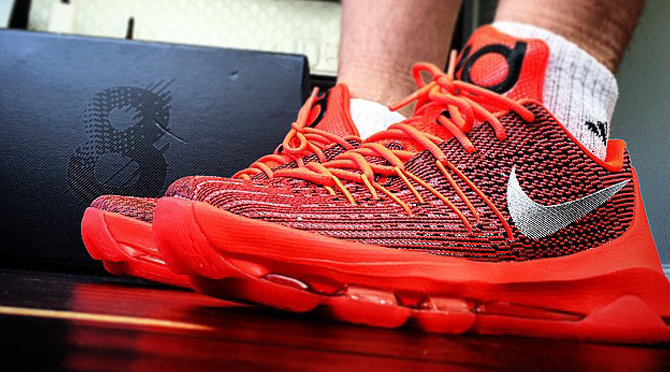 A pair of airport workers are in trouble for stealing a shipment of Nike KD 8s and trying to sell them on Instagram. Calvin Nelson, 23, and Audley Russell, 47, are facing grand larceny charges for stealing 12 pairs of Kevin Durant's upcoming shoes from JFK airport in New York. The sneakers were on their way from Taiwan to Ontario. According to NY Daily News, the sneakers were stolen on May 9 and then sold via the Instagram account snkr_base. 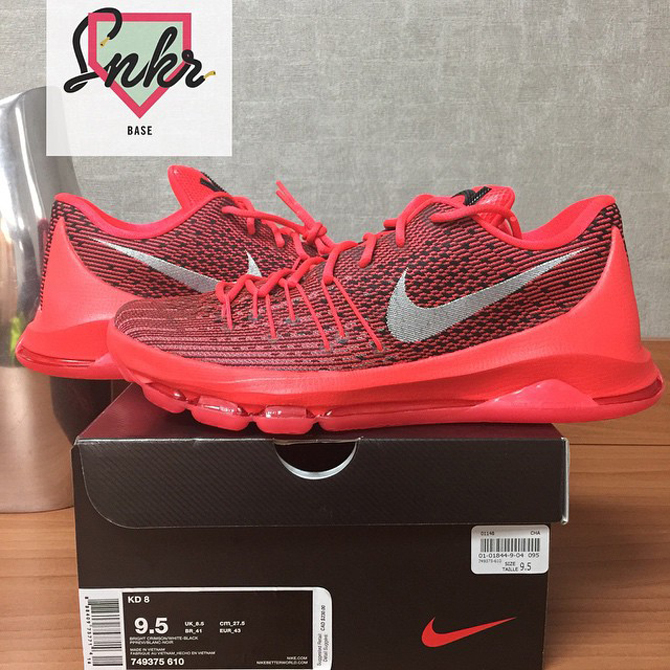 The account is credited across the Internet as the first one to post images of the KD 8, having broke the spoilers for the shoe on May 10. Later Instagram posts feature reposted images that show off the account's sales of the sneakers. Cops reportedly tracked down the thieves through the Instagram account. One of the images on the account, shown below, features a shoe box with the serial number sticker still attached. The two men charged in the crime could face up to four years in prison each if convicted.